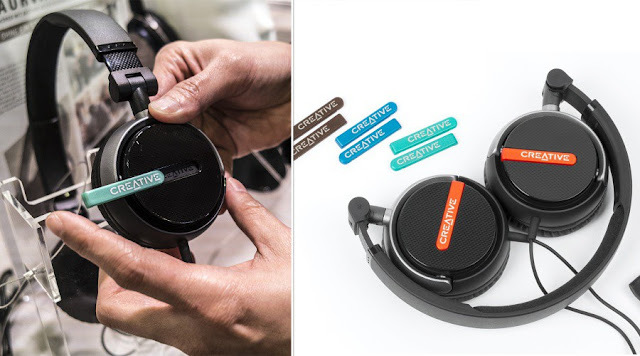 Home » cheap , Creative , Flex , Headphones » Creative Flex : A New On Ear Headphones Just For 40$ ! Creative Flex : A New On Ear Headphones Just For 40$ ! One of the big announcements that Creative reveals this year at IFA, After Katana soundbar, Kratos S5, Muvo 2 bluetooth speaker, iRoar Go and the Outlier Sports Bluetooth earbuds, the Singapore's brand has presented a brand new foldable headphones called Flex for about 40$. 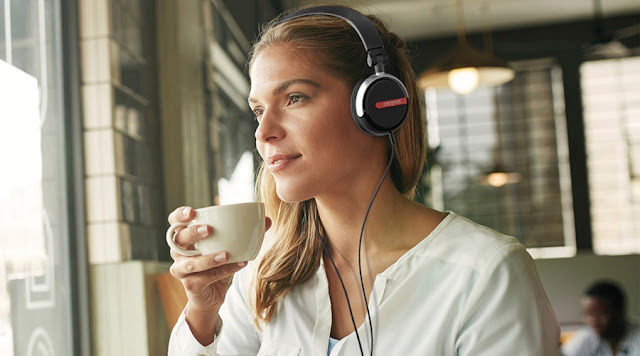 The Flex is a wired on-ear headphones meant to be lightweight and very comfortable according to the company, with only a weight of 136 grams, this model can be fold into different ways for easy storage and transport. Unfortunately, there isn't any kind of a bag or a case provided for protection. The Flex has some really soft ear cushions in Leather, very comfortable even after wearing it for a long time ( we're not sure yet but that's what the company said ), it also comes with 4 pairs of changeable color tabs. The Flex connects with a 3.5mm jack and a 1.2m non-detachable cable. You also get a remote control with a multifunctional single button and an in-line mic for taking calls. It is therefore not possible to control the sound volume directly from the remote. Nothing exceptional in audio performance. With a 32mm Neodymium drivers, Creative Flex promises a frequency response between 20 Hz and 22 kHz, the manufacturer didn't provide any further information about this topic. Creative Flex is already available at the price of 39.99$.